Good News Club® is a ministry of CEF® in which a group of trained teachers from local bible-believing churches meet with children in schools, as well as community centers, homes, churches, etc.. These students have been given parent’s permission to attend. Each week the teacher presents an exciting Bible lesson using colorful materials from CEF Press®. This action-packed time also includes songs, Scripture memory, a missions story and review games or other activities focused on the lesson's theme. Parents are encouraged to attend as well. Yes! The Gospel has been taught freely in public schools all over the world for some time. Now children in the U.S. have that opportunity, too! In 2001 the U.S. Supreme Court ruled in Good News Clubs v. Milford Central School that Good News Club®s can meet in public schools in the United States after school hours on the same terms as other community groups. Children attend Good News Club® only with their parents’ permission. Pastor James Williams of Two Cities Presbyterian Church opens a new Good News Club® at Floyd Elementary. Each week an exciting Bible lesson using colorful materials from CEF Press® is presented. This action-packed time also includes songs, Scripture memory, a missions story and review games or other activities focused on the lesson’s theme. Each club includes a clear presentation of the Gospel and an opportunity for children to trust the Lord Jesus as Savior. Every club also includes strong discipleship training to build character and strengthen moral and spiritual growth. All children are encouraged to attend a local church. Bill Thompson, pastor of Grace Presbyterian Church, teaches a Bible lesson about the Holy Spirit at the Dozier Elementary Good News Club®. 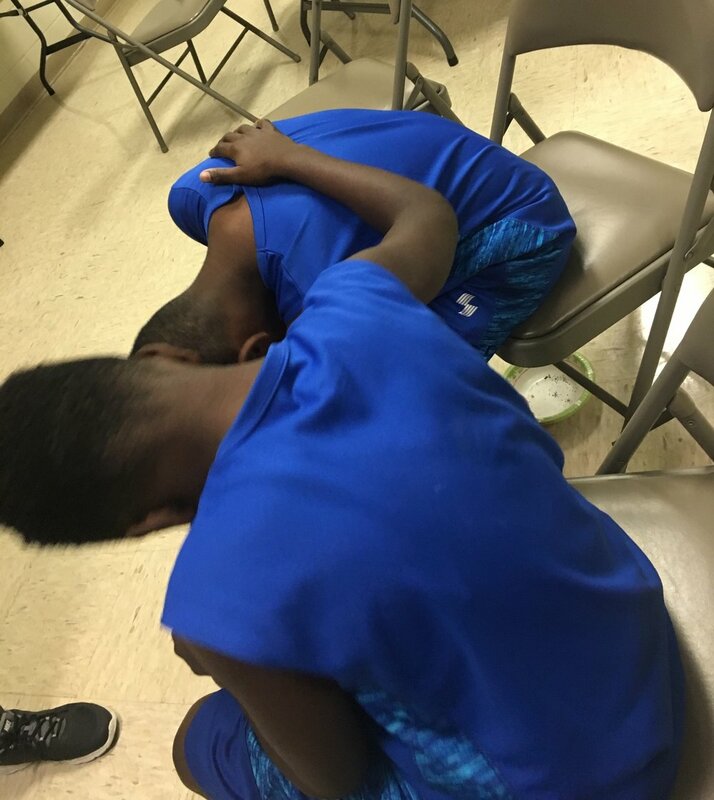 Two brothers pray together at a Good News Club® partnered with a Single Moms’ ministry at Perry Hill United Methodist Church. 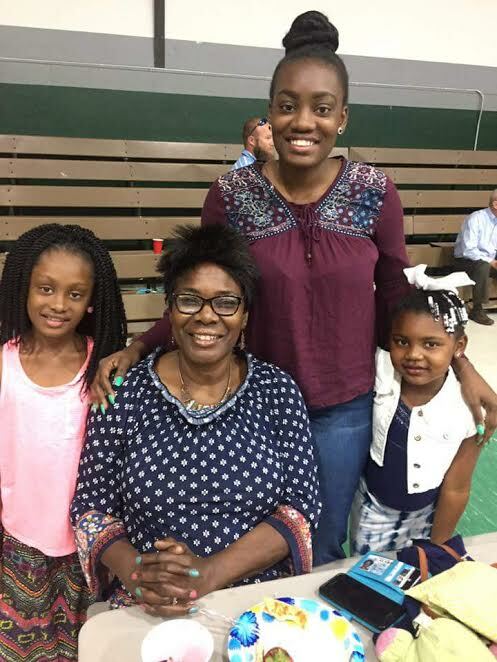 Students from Coosada Elementary and their families build lasting relationships with Good News Club® volunteers, such as those that invited them to the end-of-year celebration at Victory Baptist Church. Elizabeth Gunter and Ruth Barnes lead a Good News Club® in Hopper Gardens, a downtown Montgomery apartment Complex. Jamal Frazier build relationship with a young boy in Good News Club® partnered with a Single Moms’ Ministry at Perry Hill United Methodist Church. Jessica Bowman teaches a memory verse to students in the Coosada Elementary Good News Club®. Rebekah Ford listens to children say their memory verses at the Halcyon Elementary Good News Club®. Students learn to pray at the Coosada Elementary Good News Club®. Student learn the goodness of God and his ways in Good News Club®. 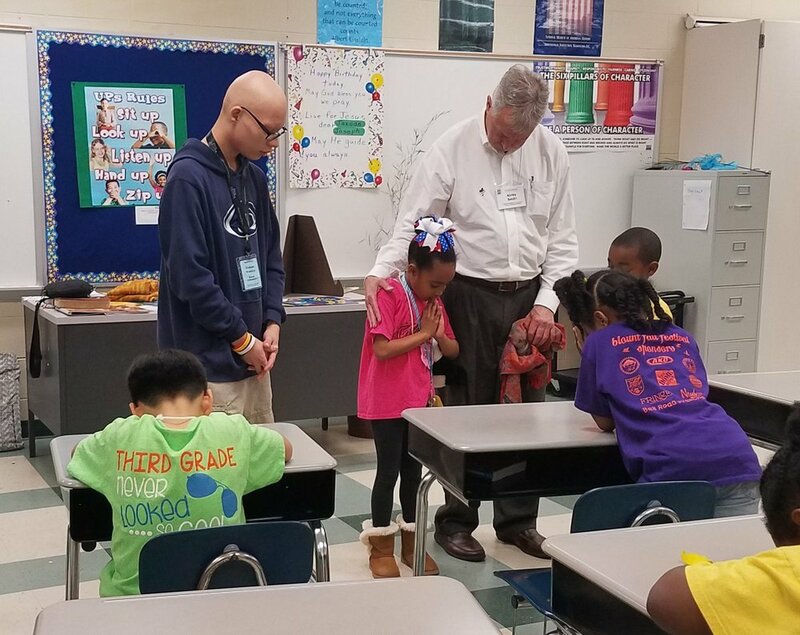 Pastor Kirby Smith helps a student lead prayer at the Blount Elementary Good News Club®. Volunteers from Morningview Baptist Church lead children in Good News Club® at Morningview Elementary. Karen Blake and Pam Jernigan of Grace Presbyterian Church teach Ephesians 2:8 and 9 to students at Dozier Elementary Good News Club®. Matt Burkhart of The Church @ Pike Road and a student lead the opening prayer at Pike Road Good Elementary Good News Club®. 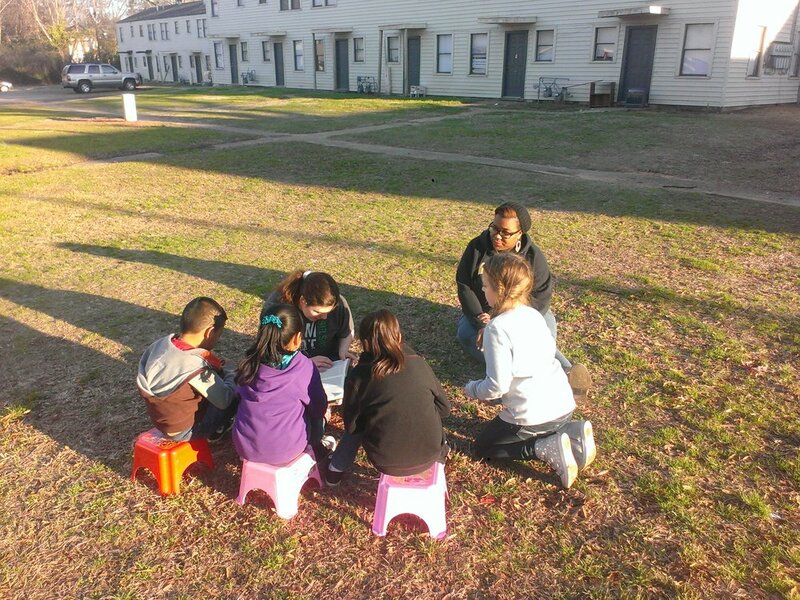 Students help each other find Scripture at Eclectic Elementary Good News Club®. 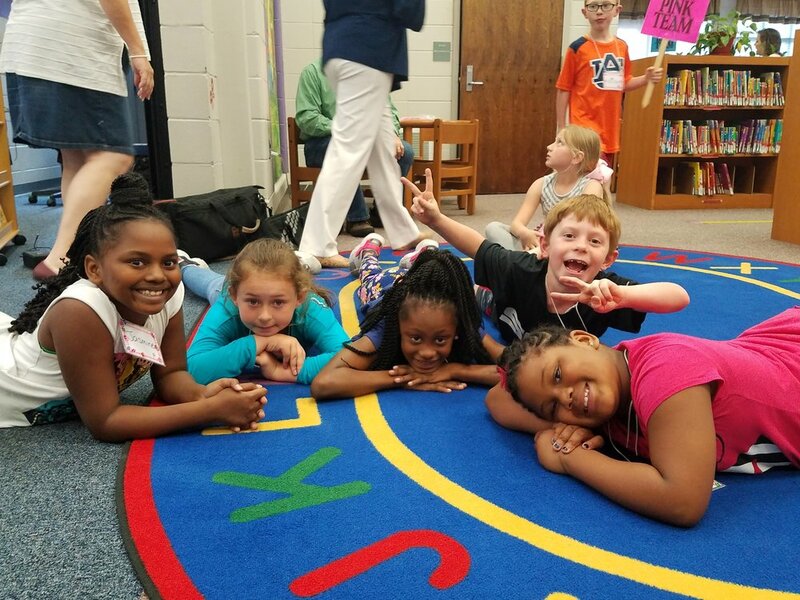 A volunteer teaches about God’s omniscience and sovereignty at the Coosada Elementary Good News Club®. 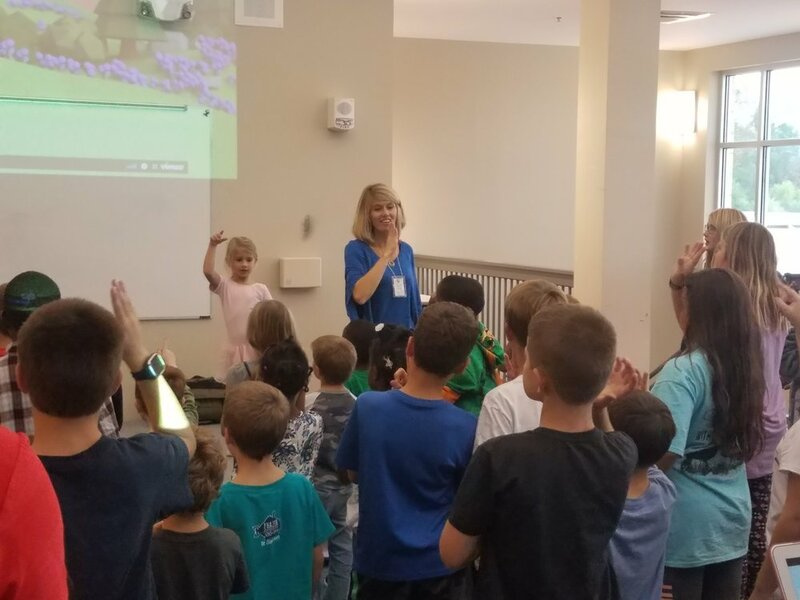 Volunteer from Church @ Pike Road leads students in the song, “He is God”, at the Pike Road Elementary Good News Club®. 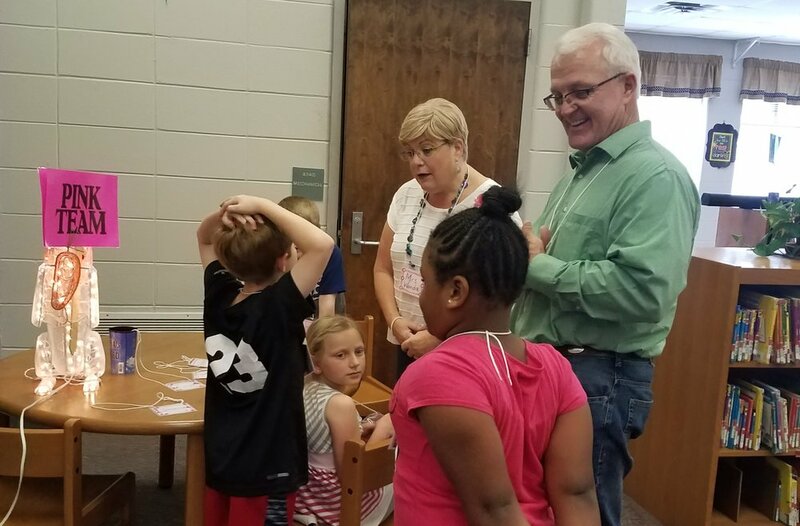 Volunteers welcome children to Good News Club® at Coosada Elementary.